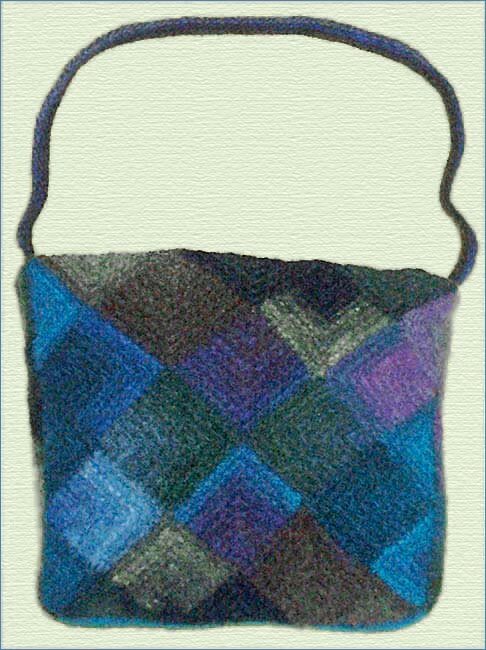 Knit by Karen Weston in Noro Kureyon color #149. 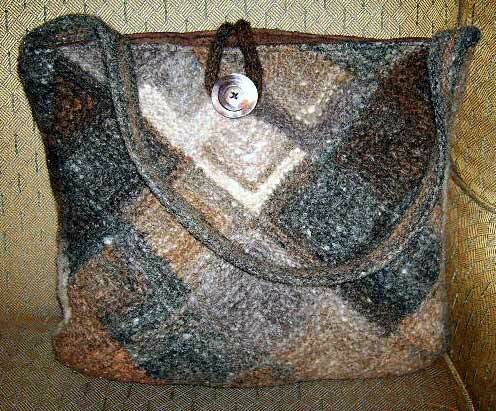 She added a button flap and button for a closure. 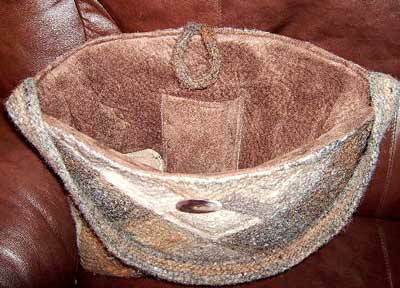 Karen also lined it in ultrasuede and included a cell phone pocket.